I measure my success 1 family at a time! Helping Families Fulfill Their Dreams! Having lots of sales every year is, admittedly, very nice. But for me, it's what's behind all my sales that counts-LOTS OF HAPPY FAMILIES!! When it's time to buy or sell, I hope you'll put my experience and track record to work for YOUR FAMILY! 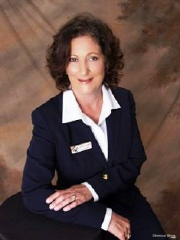 Multi-million producer, member of the 100% club, REALTOR since 1986. I specialize in residential sales and one on one service. Real estate is my career, I take pride in my profession because it is about people and the most basic of needs shelter, whether is finding that first time buyer their first home or having to sell the million dollar home, each and every customer/client get the best of service from me. I guarantee it!